Los Angeles, Calif. - March 2017 - Air Bud Entertainment announces the World Broadcast Premiere of PUP STAR: BETTER 2GETHER, the newest song-filled film in the popular talking (and singing) dog franchise -- on Disney Channel, this Friday, March 23rd (at 9:00 p.m. ET/PT). A canine adventure for the whole family, the premiere airing marks the second film in the franchise to make a broadcast debut on Disney Channel, following the original PUP STARmovie's airing there in 2017! It allows fans to get ready for the debut of the third film, PUP STAR: WORLD TOUR, that will continue the adventures, when it premieres on Netflix and Digital, on May 5. The PUP STAR films are an exciting dog-filled spin on America's hit TV singing competitions for the whole family, featuring a soundtrack of paw-tapping new songs. 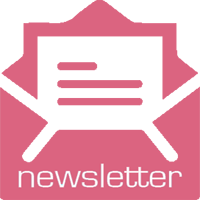 They are created by Air Bud Entertainment, the proud producers of family entertainment for more than 20 years, including 'Air Bud' and 'Disney Air Buddies. A bevy of blue ribbon voice talent lead the film including the return of top music icon Ziggy Marley (as 'Dog Gnarly') and 12-year old singing sensationKaitlyn Maher (America's Got Talent) as the voice of Tiny AND the voice of a street pup named Scrappy. John Ratzenberger also returns to the franchise, voicing 'Salty.' 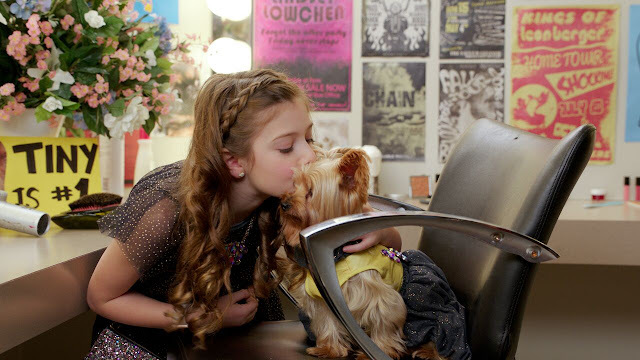 Rising YouTube sensation Mackenzie Sol (The X-Factor) joins the cast, as 'P.U.P' and teen talent Lil' P-Nut (Nick's 'Haunted Hathaways) takes a bite out of the voice of wrapping pup 'MC BITE.' 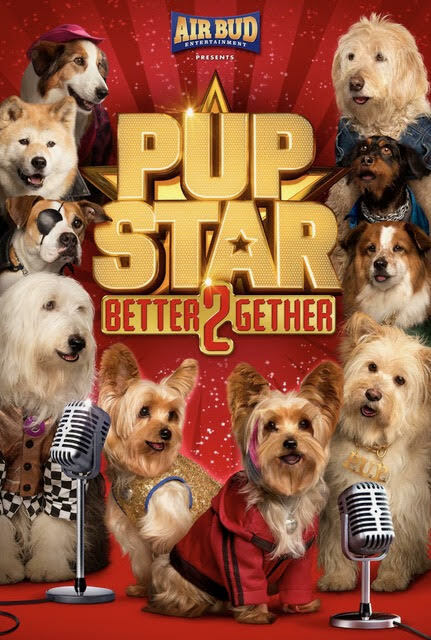 PUP STAR: BETTER 2GETHER is directed by Robert Vince, produced by Anna McRoberts and written by Vince and McRoberts. Pup Star is back for an all-new adventure! After winning the canine competition show 'Pup Star' and becoming an international pup sensation, Tiny, the adorable Yorkie, has her world turned upside down when an evil rival switches her out in competition with a street pup named Scrappy. The two pups find themselves living the others' very different life and an incredible journey through iconic cities ensues in this fun and hilarious dog-out-of-water adventure! As they prepare for the Pup Star competition to reach its finale, each experiences life through a very different collar and discover the importance of family and being true to yourself. At the finale, both Yorkies claim to be Tiny leaving everyone, including the judges, wondering - who is the real Pup Star? A huge, fun musical adventure, PUP STAR: BETTER 2GETHER is filled with incredible singing pups, fantastic new paw-tapping songs, and an action-packed heart-warming story that will have audiences of all ages howling for more! This sounds like it will be so cute. Thanks! I have never heard of it! It's part of the Air Bud series.